When her youngest daughter left home, Belinda Clarke, 44, and her husband Toby, 42, decided to take a weekend out to ponder what they wanted to do with their lives...a time which resulted in the decision to sell their house, leave their corporate jobs, set time aside for Belinda to write a novel and then go travelling together around the world for 2 years. "We spent that time locked in our office with a big vision board, the result was that both of us had never been travelling and yet were both keen on doing some." Our daughter had decided to leave Cheshire and go to college in London and we were ready for that, but she then surprised us by signing up for Camp America before college and she was gone before we knew it. That provoked Toby and I to take a weekend to just think about what we wanted to do with our lives. We spent that time locked in our office with a big vision board and took ourselves through a number of coaching exercises. The result was that both of us realised we had never been travelling and yet were both keen on doing some. So, we decided to go travelling for two years. We started putting savings aside, but the big decision we made was to quit our jobs and sell the house. This wasnt an easy thing to do as, although our jobs were just ok, we had a great lifestyle. We had a car each, went on holiday almost every other month, and enjoyed ourselves. It was a wrench saying goodbye to it, but it was a lifestyle with lots of expenses and didn't fit in with what we wanted to do. The process was a slow one. The housing market was pretty slow so we put our house up for sale eighteen months before we finally gave our notices in. It was very much an exercise in patience! To be honest, the majority of our family thought we were mad to give up our jobs...especially our parents: in their eyes we were throwing away prime earning potential. Most friends, however, thought it was great and some wished they could do the same. Colleagues were intrigued but safe in their salaried lives. My husband had to give six months notice on his job. I had already finished mine and had all this time that I wanted to do something with, rather than just wasting it. I had talked about writing an autobiographical novel ten years earlier, but had young children at that time. Now, with no children to look after and all this time available, it seemed to be the perfect point to write it. And so my autobiographical novel, Chasing Happiness, was written. I signed up on a coaching programme with the life coach Suzy Greaves and was surprised to find that the writing came quite easily. It was a very enjoyable and cathartic time, and took six months in all. The aim was to go travelling for two years, broken up into two one year segments, with my eldest daughter's wedding in between. So, the first part of our trip was Spain and Latin America. We allowed ourselves £1000 a month, which was quite tight (and this did not include flights). We only took 10 kilo backpacks, which are quite small, and for the first time in my life, I wore my clothes until they wore out, which was very novel. I used to live for laundry days when we could get to a laundrette - the smell of fresh laundry became a real treat for me! It was a fantastic time. We met lots of lovely people on our travels, shared in joy, fun and fond memories, we even managed to 'live' in Buenos Aires for 7 weeks, renting an apartment, feeling settled and almost local. I did feel safer travelling with my husband Toby, and it was a lovely way to deepen our bond together as soul mates. However, I did find that I needed a little space on my own now and again! "Travelling with my husband Toby, it was a lovely way to deepen our bond together as soul mates." We used our savings but if you dont have them I urge you to sell something! The experience is worth it. We also created Moo Cow Travels (www.MooCowTravels.com), a blog of our travel year which may be helpful especially if you want to know a little more about travelling in South America. As a result of our trip, we now live on Ibiza, self employed running various well-being projects - Ibiza isn't all about clubbing and partying... the majority of our little white isle is covered in natural lush beauty waiting for you to discover for yourself the other side of Ibiza - one that is still kept secret from the mainstream visitors. 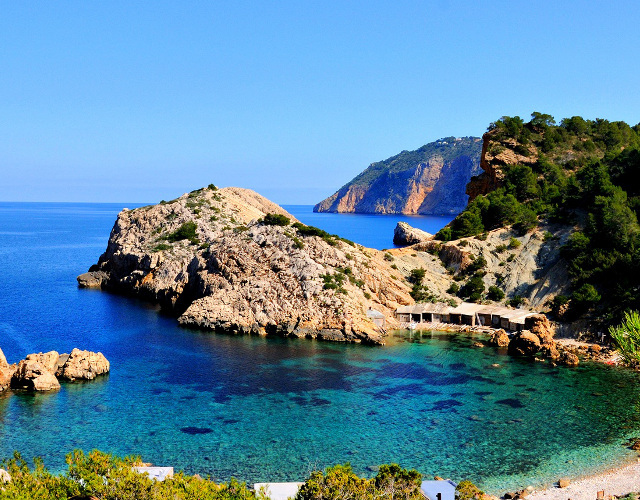 We promote the other side of Ibiza as well as healing, well being and a balanced life. Before we were stuck indoors for most of the time in corporate jobs living in a big house with flash cars and a hot tub in the garden! Life is radically different now. Do it! Live your life as fully as you can and in the moment. Regretting what could have been isn't any fun. If you want to make a difference or follow your dreams then go ahead... the choice is yours. 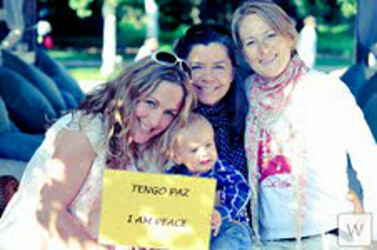 Belinda now lives on the beautiful island of Ibiza where she and her husband run Walking Ibiza, Ibiza Reiki and Alternative Ibiza Retreats, Coaching, Classes and Workshops. 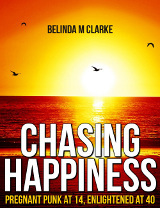 You can contact Belinda on Twitter @BelindaMClarke.